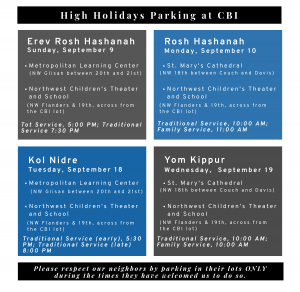 Parking near CBI is ALWAYS difficult, particularly over the High Holidays, when our nearly 850 households gather together. Please consider carpooling, taking public transportation, or using a rideshare service. The Kings Hill/NW Salmon MAX Station is a 1/2 mile walk from CBI, and there are bus stations at NW Glisan and 19th Avenue (77 bus line) and West Burnside and NW 20th Avenue (bus lines 15, 18, and 20). Our neighbors at Metropolitan Learning Center (NW Glisan between 20th and 21st Avenues), Northwest Children’s’ Theater and School (NW Flanders and 19th Street, across from the CBI lot), and St. Mary’s Cathedral (NW 18th Avenue between Couch and Davis) have generously made their parking lots available as indicated below. 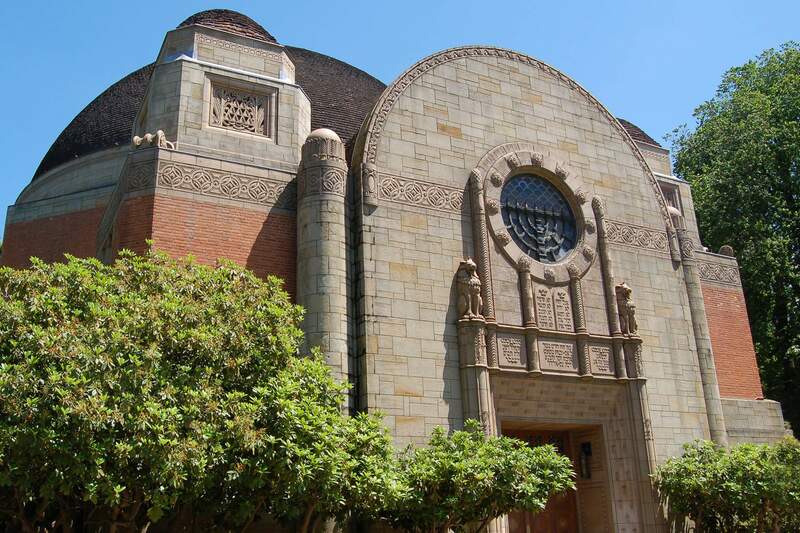 Additionally, Trinity Episcopal Cathedral’s (NW 19th Avenue and Everett Street) pay to park is a convenient nearby option.